Life is seriously moving way too fast. I didn’t really get a lot accomplished off the list this time around. 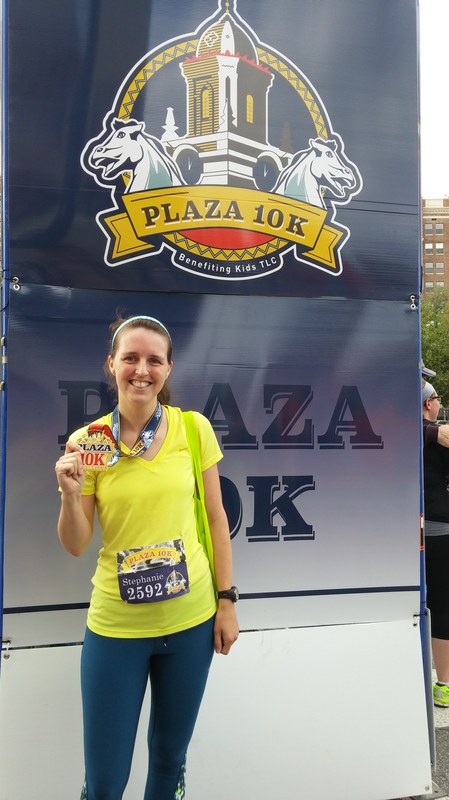 I ran the Plaza 10K earlier this month. Crockpot Cheesy Enchilada Quinoa-seriously this is like a drug. It is addicting. You need to make this. Meatball Parmesan Casserole-We just made some spaghetti noodles to go along with it. Tom loved this because it was a lot of meatballs. He would be a carnivore if that were the healthy thing to do. Chicken Parmesan Casserole-Basically the same recipe as the one above just with chicken. My grandma made all us grandkids a Betty Crocker cook book where she added her own recipes along with it. It is one of my treasures now that she is gone. I made a couple things from this book this past month. Her corn casserole and glazed carrots. Both great! I would make that corn casserole every day if I had time. A friend and I tried El Rancho downtown, which is within walking distance of our office. It was pretty good going down and really cheap, however both of us did not have happy bellies by the middle of the afternoon. Very greasy! Can I just say that you look FANTASTIC!! I haven’t made much progress on my list lately, but hopefully after the holidays, I can start checking more off.